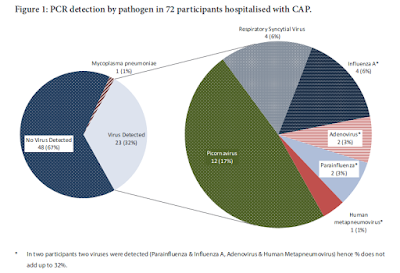 In May and June of 2015, most of the MERS activity in Saudi Arabia centered around the town of Hofuf (aka `Hafoof’, `Hafuf’, etc.) in the Northeastern part of the country. 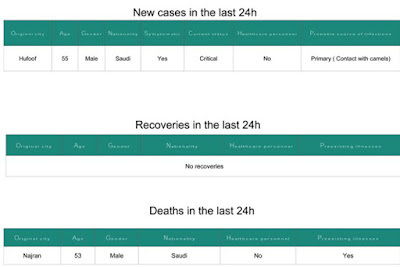 What started with a single `primary case - with camel contact' in mid-April grew into a family cluster, and then into a full blown nosocomial outbreak which ran for more than 2 months (see WHO: A Saudi MERS Infographic) infecting dozens. While sporadic cases were reported well into the fall (see WHO MERS Update: Saudi Arabia – Nov 13th), reports dried up over the winter. 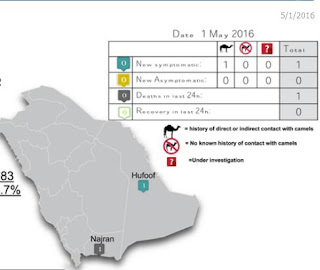 In April, however, we saw two new cases (one symptomatic, one asymptomatic) linked to camel exposure from Hofuf. Today the Saudi MOH reports another case from Hofuf - linked to camel exposure - in a 55 year old male listed in critical condition. Additionally, 1 death (in Najran) of previous case is announced.